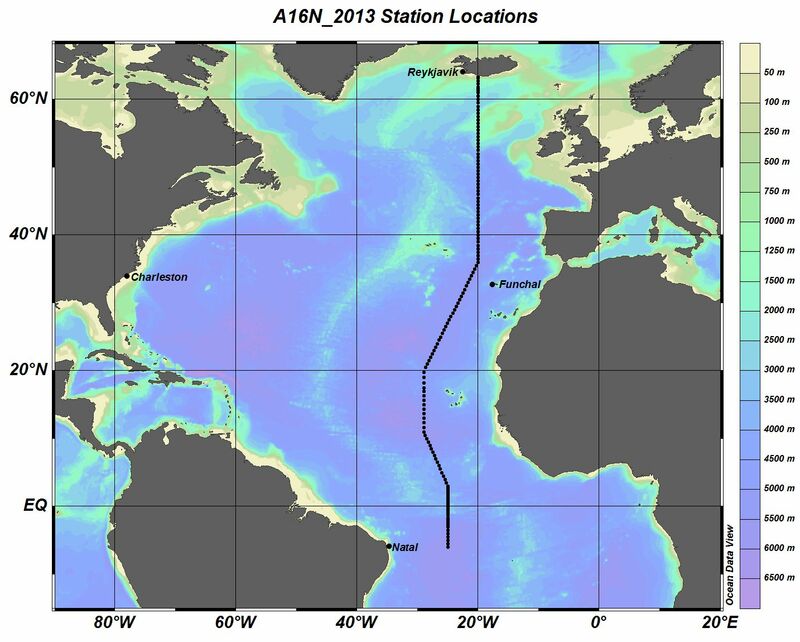 From August 2013 to February 2014, PMEL scientists and technicians from multiple groups participated in an Atlantic Ocean survey of the A16 line from 63°N near Iceland to 63°S near Chile on the NOAA Ship Ronald H. Brown. In total, 258 full water column stations were sampled over 100 days at sea along the section, making a variety of physical, chemical and biological measurements. The data collected on this expedition will be compared with earlier data sets from previous decades to detect changes in ocean properties. You can find more information about this expedition by visiting the A16N and A16S web pages.